A North Dakota man’s motorcycle broke down at the wrong place and time recently, and he ended up behind bars in Cannon County. On Sept. 18 at approximately 1:10 a.m. Sheriff’s Deputy Eric Moss came upon a black motorcycle occupied by a white male on the 200 block of Mason Hollow Road. Deputy Moss approached the man and asked if needed assistance. Timothy Gordon Shafer, 905 3rd St. S.E., Mandan, ND, said he had ridden his motorcycle to a friend’s house and was now trying to go home, but his motorcycle had quit running. Shafer continued to try to start his motorcycle. Deputy Moss asked him if he had any identification and Shafer handed him his license. Deputy Moss ran a check of the license, and learned it had been revoked for DUI. A check for warrants revealed that Shafer was wanted in Wisconsin and that Wisconsin officials confirmed they would extradite. 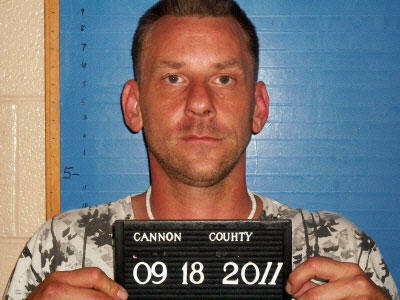 Shafer was taken into custody and transported to the Cannon County Jail. He was charged with driving on a revoked license and fugitive from justice. A $1,000 bond was set on the driving on revoked charge but Shafer is being held without bond on the fugitive charge. Shafer’s motorcycle was seized for driving on a revoked license due to a DUI. Pelham’s Wrecker Service transported the vehicle to the impound lot at the sheriff’s department. Initial court date is Nov. 1.